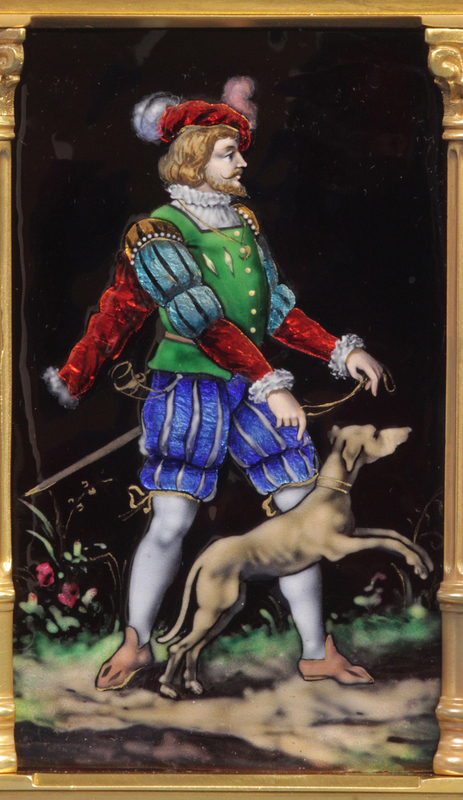 The gilt-bronze case has an elaborately molded base, fluted Corinthian columns to the corners, a ridged, hinged handle and superb polychrome limoge panels to three sides that depict medieval huntsmen with their hounds set within landscapes with applied gilt highlights. 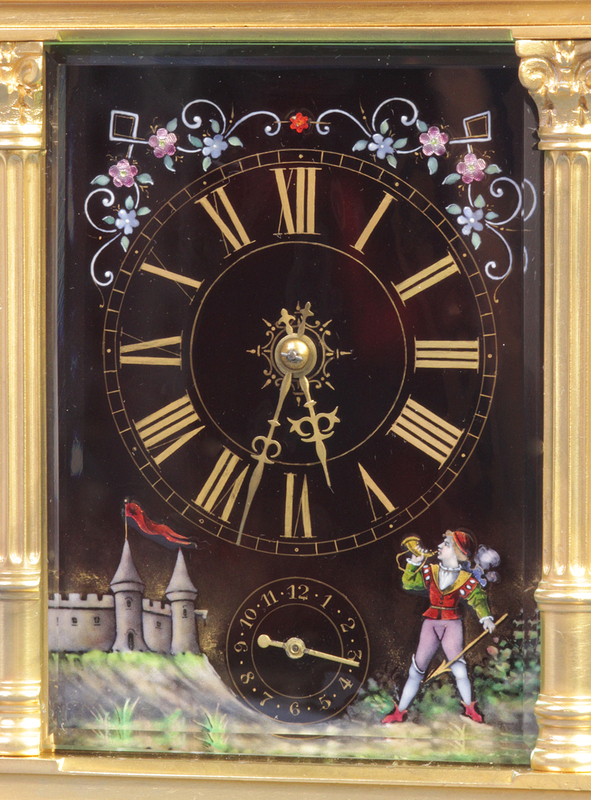 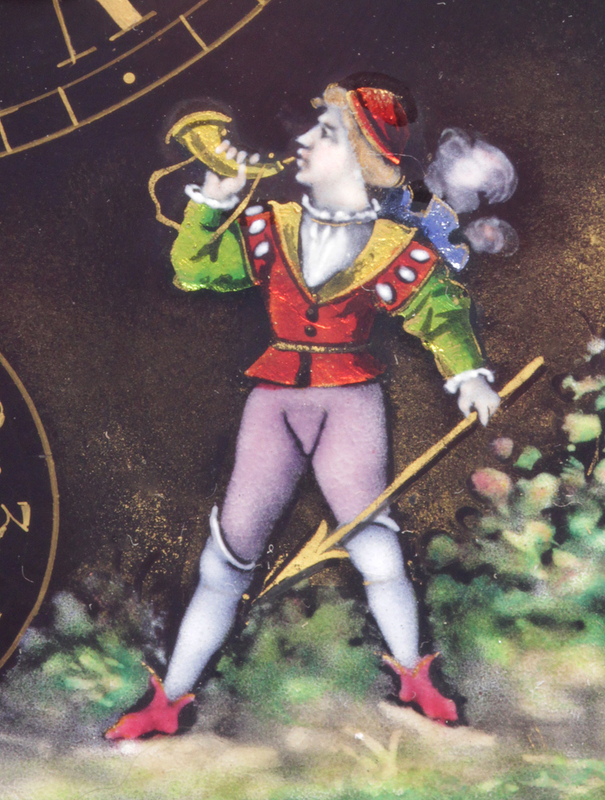 The dial, set behind a beveled glass, has elaborate floral scrolling and a small boy blowing a horn before a castle on a hilltop. 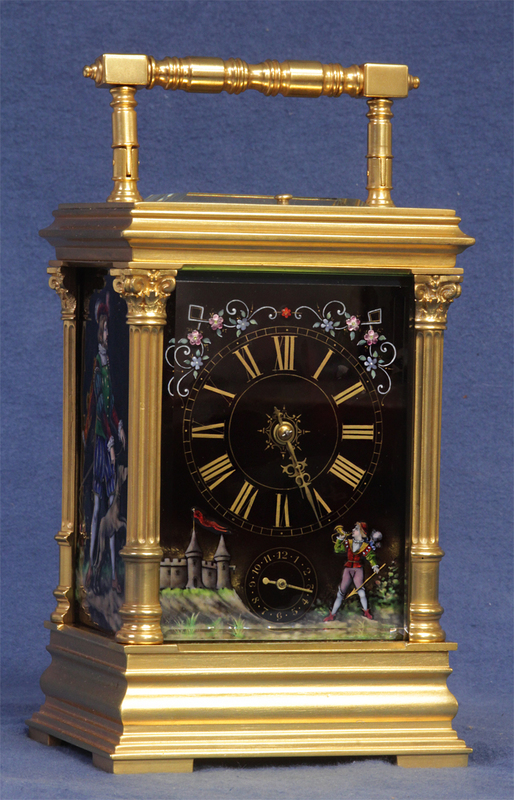 The hour dial has gilt Roman numerals for the hours and decorative gilt hands. 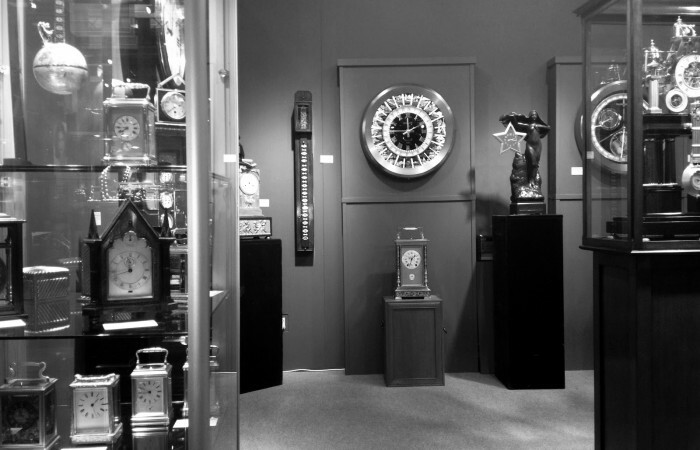 The subsidiary alarm dial has a gilt indicator hand and shows one through twelve in Arabic hour markers. 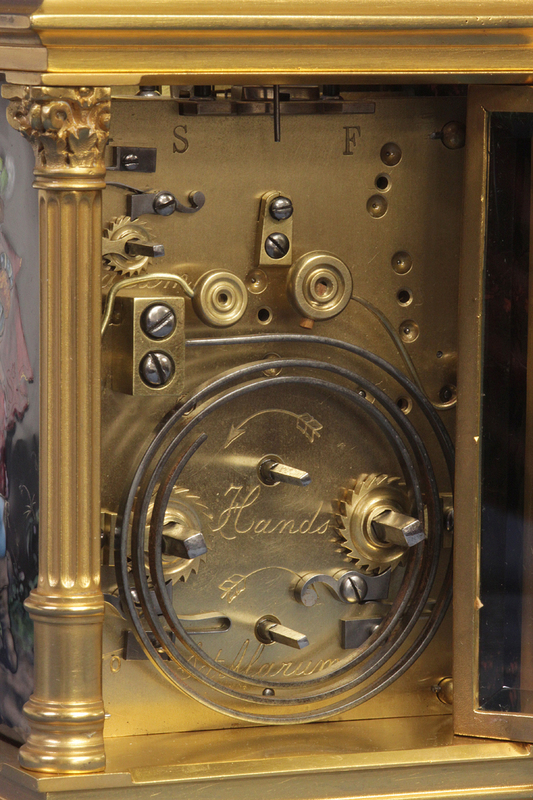 The eight-day time, strike and alarm movement has the hour repeat button above, is wound and set off the backplate, has all the engraved indications in English, is numbered, ‘4670’ and still retains the original lever platform. 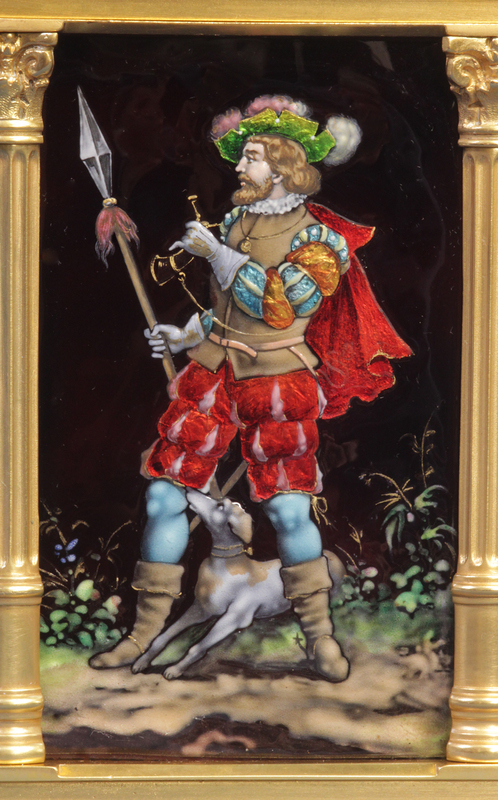 The panels on this example, with the use of foil and applied gilt highlights, are superb examples of the extraordinary quality produced by the artisans of the Limoge factories. 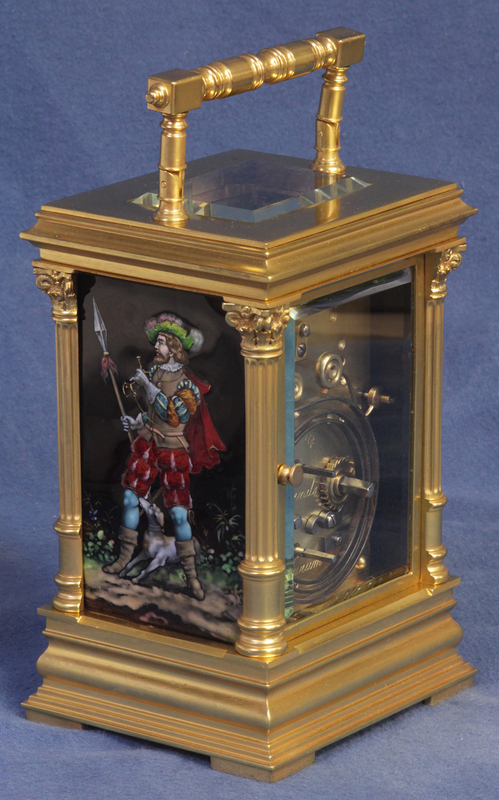 For additional examples of Limoge carriage clocks see: ‘Carriage Clocks’ by Derek Roberts, 186.